This is a very exciting week for us at Homespun! 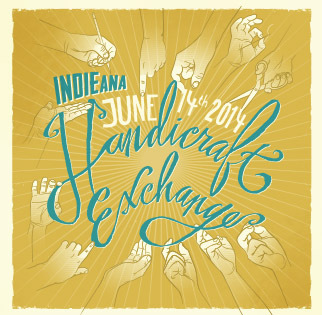 In case you didn’t know, we’re the team behind the INDIEana Handicraft Exchange contemporary craft show series and our biggest show of the year is this weekend! Enjoy over 100 craft vendors this Saturday, June 14th from 12-8pm at the Harrison Center for the Arts. 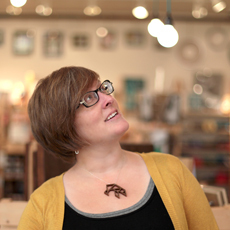 This is your chance to meet some of the artists behind your favorite Homespun products. Ask them questions, see their latest creations and discover new favorites. You can check out the complete vendor list here. The INDIEana Handicraft Exchange is presented in conjunction with the Independent Music and Arts Festival. Be prepared for live music, gallery shows, local food, local craft beer from Sun King Brewery and cider from New Day Craft , ice cream, raffle prizes, and more. And if you are one of the first 100 attendees, check out the Yelp table at the main entrance of Harrison Center for your free swag bag! We would like to thank this year’s generous presenting sponsors: Sun King Brewery, Just Pop In! and New Day Craft. You’re the best! And we can’t forget our supporting sponsors, too; jakprints, Foundry Provisions, Ronlewhorn Industries , Amy McAdams Design, little robot photography, Forum Credit Union, Yelp, and Harrison Center for the Arts: we’re all working together to put on the best event yet!